For over 50 years, Cetacaine has been trusted by Gastroenterologists, Anesthesiologists, CRNA’s, ENT’s, Pulmonologists and various other medical professionals to suppress the gag reflex and increase patient comfort and procedural satisfaction. Our unique formula combines three active ingredients to provide a rapid onset of 30 seconds with the benefit of a long duration of up 60 minutes, when used as directed. 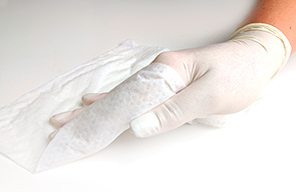 Cetacaine is indicated for use on all accessible mucous membrane, except the eyes. 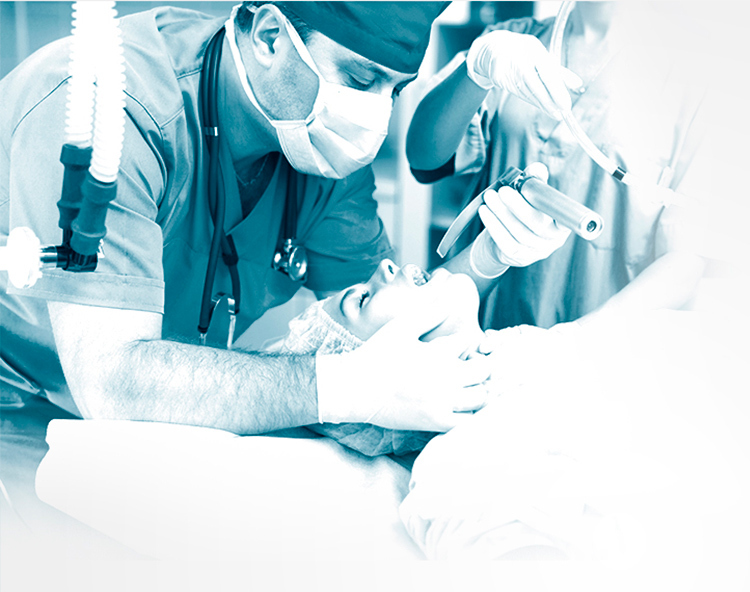 Your partner in patient comfort, safety & satisfaction. Cetylite offers a comprehensive line of topical anesthetics & infection control products which are widely considered the gold standard in the pharmaceutical industry. Our legacy of enhancing the quality of patient care and delivering reliable, high quality products is the reason our products can still be found in over 10,000 healthcare facilities nationwide. Your patients deserve the best, we help you deliver. I have had the experience of using Cetacaine spray to numb the back of the throat in patients undergoing upper endoscopies. It helps decrease the gag reflex and keeps the patients more comfortable during the procedure, especially when using light sedation. 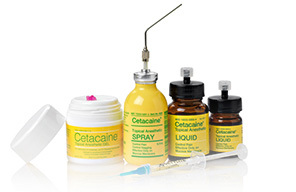 I use Cetacaine® Topical Anesthetic spray in my practice on a regular basis. It helps to decrease sensitivity of oropharynx before airway manipulation in situations like awake fiber optic intubation. It's also very useful for transesophageal echocardiography or EGD performed under sedation. It allows me to minimize the amount of intravenous anesthetics and analgesics used while keeping the patient comfortable throughout the procedure. Having this local anesthetic in a spray form and ready to be administered any time is very convenient and allows me to minimize preparation time. I am a Thoracic Surgeon. As part of my clinical activities, I perform Bronchoscopies frequently. Many times, these Bronchoscopies are performed on awake patients, making the analgesia and topical anesthesia essential. The quality and extent of the anesthesia produced by topical agents correlates completely with both the adequacy of the examination performed as well as the patient’s comfort and willingness to undergo a repeat procedures. I have utilized Cetacaine spray as standard and primary agents during these procedures. I’ve been able to examine Bronchoscopically nearly a thousand awake patients over many years without using IV sedation whatsoever. IV sedation leaves the patients with diminished sensorium. Not using it and relying only on topical agents is truly beneficial to my patients, and is achieved primarily by Cetacaine. I have been in the practice of Gastroenterology for over 30 years in New York. Cetacaine has been a part of my practice the entire time. It certainly has withstood the test of time and has proven to be well tolerated. Comprised of a perfect combination of effective ingredients, it helps facilitate upper endoscopic procedures. The variable formulations and methods of delivery make Cetacaine quite user friendly and versatile. The rapid onset of action is important in the endoscopy suite and one can be confident that its effects will last for the duration of the procedure. It is a welcome addition in the endoscopy suite! For over 65 years Cetylite Inc. has been trusted to provide products of superior quality that advance care, comfort and safety for patients and the professionals that treat them.